Do We Want al-Shabaab to Join the Islamic State? The Daily Mail Certainly Seems to. The rumour of a high level meeting in Jilib in southern Somalia of al-Shaabab’s leadership has been rattling around Mogadishu for a few days. On the agenda is a discussion of what to do after the loss of the thin stretch of territory al-Shabaab still holds (something like 20% of South/Central Somalia, from what was once 80%) to impending military operations by Ethiopian and Kenyan forces operating under the African Union Mission in Somalia (AMISOM) mandate. Al-Shabaab has concentrated its 2015 Ramadan campaign on AMISOM bases in the hinterland of the country and on civilian centres in northern Kenya, ambushing an Ethiopian convoy on June 17th and over-running a Burundian base in the town of Leego on June 26th. It has, once again, mounted a successful strike on the Kenyan border town of Mandera and a failed attack on a Kenyan military base in Lamu County. Al-Shabaab must have realised that such attacks would draw a response, particularly from the Ethiopians. And so they have, with 3000 Ethiopian troops and their local allies, the Somali Ahla Sunna wa Juma militia assembling near some of the few remaining al-Shabaab strongholds and Kenyan conducting airstrikes against targets in Gedo in southern Somalia (the Kenyans are less inclined to engage in a direct fight than their Ethiopian comrades – and perhaps have less trust in their local partners as a fighting force). Perhaps this is what al-Shabaab wanted, to draw the Ethiopians and the Kenyans in, hoping to play on the historic and instinctive dislike of the Somalis for their neighbours and the perhaps inevitable ‘over-zealousness’ that sometimes comes with an AMISOM offensive, grist to al-Shabaab’s propaganda mill. Or perhaps al-Shabaab isn’t operating in as unified a manner as we sometimes assume and the leadership have to meet to deal with unintended consequences. It’s a mistake we often make, assuming the other side fight, command, communicate and behave as we would. Additionally, at the end of the meeting agenda, just before ‘AOB’, is the subject of a transfer of allegiance from al-Qa’ida (to whom the then leader of al-Shabaab, Godane, swore allegiance in 2012) to the Islamic State, or Da’esh. The shift of allegiance to IS is a longer running rumour, stretching back to late February of this year. One senior leader, Karate, is an apparent proponent of the shift, supported by many of the younger membership of al-Shabaab. Godane’s successor, Diriye, however, remains loyal to his predecessor’s pledge to al-Qa’ida and the majority of the older leaders are with him. But this week the rumour grew legs, picked up by the UK Daily Mail with the splash headline, ‘Somalia Terror Group al-Shabaab ‘to Pledge Loyalty to ISIS’ in Terrifying Expansion of the Caliphate’, according to a ‘source within al-Shabaab’ (there are quite a few of those – in the same way there were a lot of ‘sources within Somali pirate gangs’, who turned out to be Somali-Kenyan chancers, duping journalists for a giggle and a bit of spare cash). The Daily Mail story itself was thin, based on local media reports of the impending meeting. But then fast forward: and the meeting has already happened and the deal is already done: al-Shabaab will swear allegiance to Da’esh. Then the numbers start to ramp up – al-Shabaab’s 9000 troops (the largest estimate anyone actually in Somalia has come up with is 6000, most of whom are sympathisers, hangers on and facilitators – al-Shabaab’s combat strength is 1500 at most) conducted 150 attacks in June (which would be a rate of 5 a day – but unfortunately only about 20 seem to have been noticed by anyone, including the local media). Da’esh’s wooing of al-Shabaab through a video appeal then takes to the stage – although surprisingly without reference to the fact that the video appeals to members of al-Shabaab to leave the group and travel to Syria to join IS, nor to the fact that the cool shades-sporting leader of the group featured in the video, Taymullah as-Somali, is actually blind, nor that his sidekick, Abu Hamza, can barely speak Somali. And then the finale – the obligatory appearance of foreign fighters at the peak of the al-Shabaab feudal pyramid. Because Somalis, of course, couldn’t run an insurgency or a terrorist campaign without a whitey to guide them, could they? 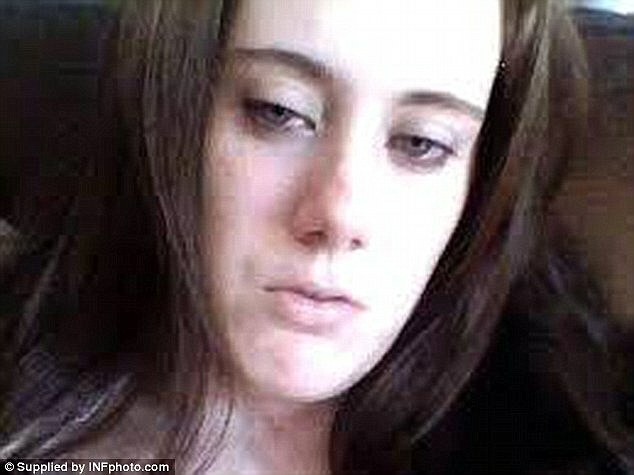 Samantha Lewthwaite, ‘the White Widow’, appears as she always does in any UK tabloid press story about Somalia, now an operational mastermind (the White Widow with the White Cat?) in command of ‘a terrifying army of 200 female jihadists… trained to infiltrate governments, carry out suicide attacks’. Which is interesting, as that would make al-Shabaab’s fighting component about 15% female, the highest in any Islamist terror group to date. ‘The White Widow’ now has a companion on the pages of the tabloids – ‘The White Beast’, Tom Evans, who was killed in the assault on a Kenyan military base in Lamu County in June. The Buckinghamshire born also-ran was seen (in the midst of a night attack) and heard (over the sound of a fire fight) by a member of the Kenyan Defence Forces, in his final glorious moments shouting encouragement to his comrades (in English, oddly). The BBC duly regurgitated that fiction. Putting aside the racist assumption that underlies the inference that al-Shabaab needs a White Something to function, the Daily Mail’s ‘interpretation’ of reality (which is not an isolated interpretation) prompts a number of questions. Firstly, is it not possible that there might not actually be a Global Jihad, but that instead there is a series of loosely linked, small but similar and yet also distinct groups all fighting their own particular corner? Some groups may swell in influence and then decline (al-Qa’ida, for instance). Others may remain isolated. Marriages of convenience may be formed and dissolved as the circumstances suit. So why do we seem to be encouraging a expanding, unified Caliphate? Why do we demand that it be centralized and coordinated? Those who really understand al-Shabaab and the Somalis knows that they are unwilling servants – al-Shabaab, for instance, would never be led by a foreigner as al-Qa’ida in Iraq was (by a Jordanian and then an Egyptian). Even individual foreign fighters have never sat comfortably with al-Shabaab – Faisal was betrayed to AMISOM by Godane, meeting his end in an ambush at a checkpoint, al-Ameriki met his death in the hinterland at the hands of al-Shabaab’s internal security force, the Amniyat, along with a British-Pakistani colleague. 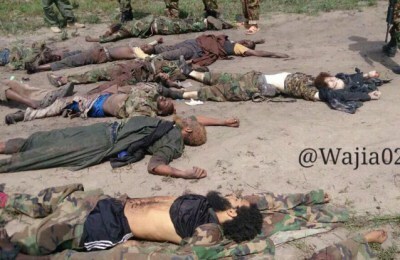 Al-Shabaab even calls Somalis holding foreign passports ‘foreign fighters’. Foreign fighters heading to Somalia, be warned. Al-Shabaab might well shift allegiance to IS, but this has to be seen in context – al-Shabaab received very little from the declaration of allegiance to al-Qa’ida (some bomb making expertise; a media team) and it was striking that the death of its leader, Godane, did not warrant any recognition by al-Qa’ida’s leadership. Da’esh should be aware of this, just as it should be aware of the internal fractures within al-Shabaab between nationalists and global jihadists, between the young footsoldiers and the older (30s) leaders, in the ever-present clan dynamics within al-Shabaab. Al-Shabaab’s leaders might not even know what its members in northern Kenya are planning, or its members in Mogadishu. And yet we feel obliged to centralize and empower them, because that is what we would do. Which leads to a wider question: a question about truth, and perception, and reality. Truth seems to have become malleable in the face of fulfilling or even shaping expectations, and not just in the Daily Mail. This isn’t such a revelation as it might seem – as the American political commentator James P Farwell notes, the obsession with telling the truth within institutions is actually an obsession with telling selected truths to suit a purpose. It is no coincidence that the motto of NATO’s Strategic Communications department is ‘Perception becomes Reality.’ Truth has become abstract. But the problem with the Daily Mail’s abstraction of the truth about al-Shabaab’s possible shift of allegiance to Da’esh (and it is still only a possibility) is that it is shaping the perception on which future reality may well be based. And that is precisely what the likes of al-Shabaab and Da’esh rely on the media to do. John Ford advises, ‘When you have to choose between the truth and the legend, choose the legend.’ But that doesn’t mean that when you are presented with the choice between the truth and the nightmare scenario, you have to choose the nightmare scenario. Because it might just become reality.